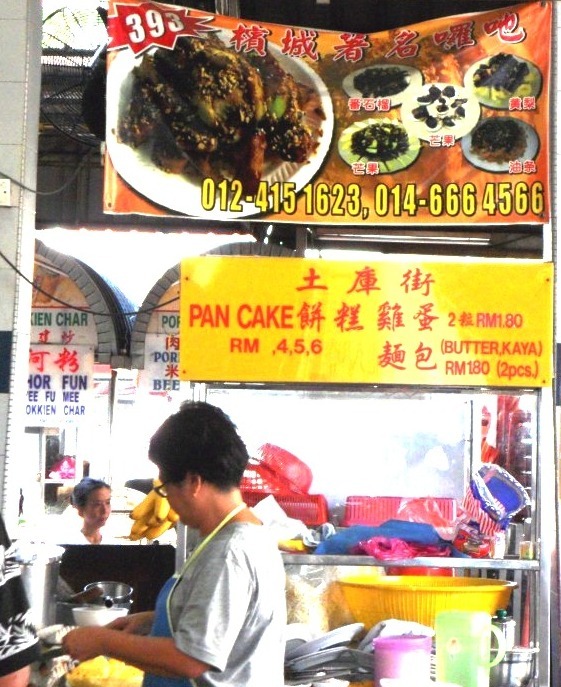 We decided to hunt down the famous ‘penang hokkien mee’ since the hokkien mee in KL and Penang is totally different. Those of us from KL who are not aware of this is in for a big surprise if they expect the black noodle. 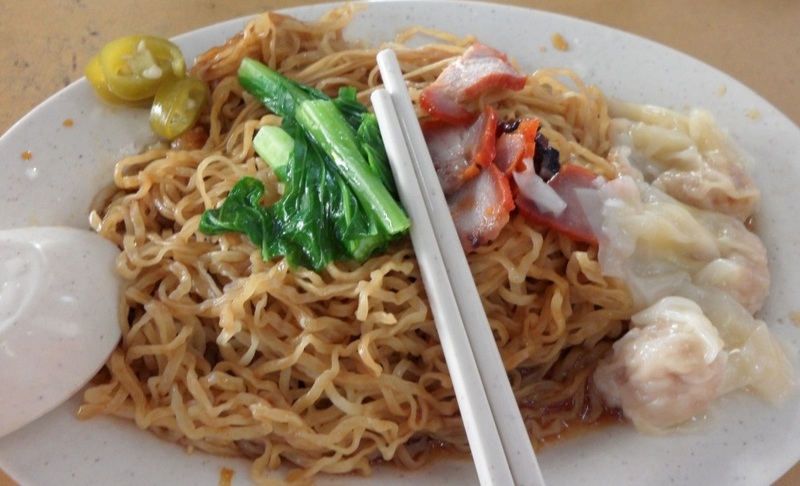 In Penang, when people say hokkien mee, they mean the prawn noodle. Since we were staying nearby Jalan Ranggon, we went to the Sin Kim Sun Kopitiam. It is a corner coffeshop betweem the Jalan Rangoon and Macalister junction. 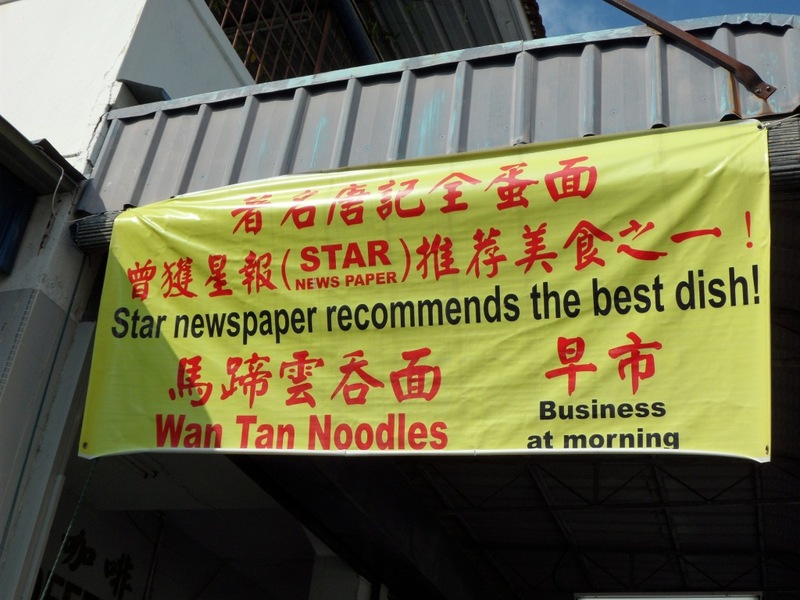 The first thing that caught our eye is the yellow banner claiming that the star newspaper recommends the wan tan mee. So, we quickly sat down and worked out our drinks with the uncle. We ordered the Wan Tan Mee. It was not bad. The noodle was nice and springy. The thing I love best is their wan tan (little meat dumplings). It was cooked well and all the skin wrapping it was very smooth and soft all the way. Sometimes, you get some hard area in due to that area having the thickest wrap area. Something the other table was eating caught our attention and we found out that it was pan cake. Yes – Pan Cake (separated). It is not spell pancake (together). 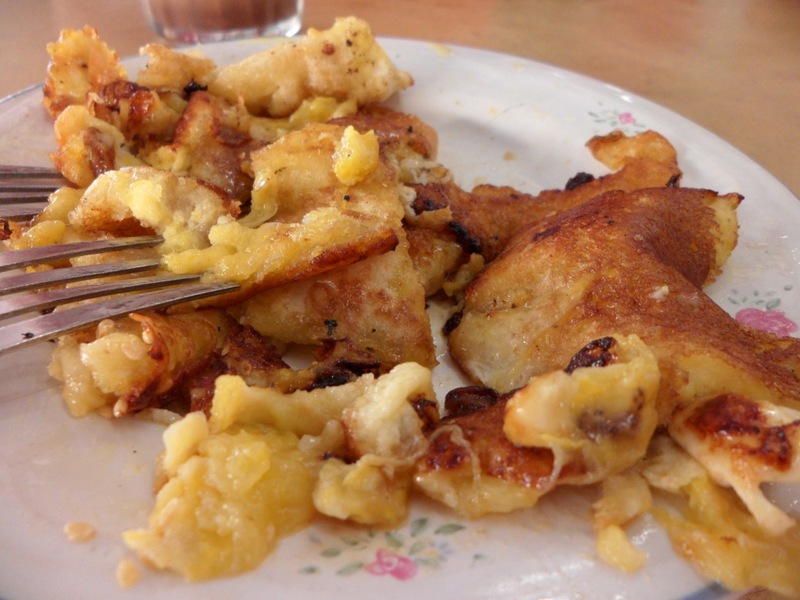 It is very similar to pancake only that it is serve like it has been stir fry vigorously. You can have it the traditional way which is with butter and kaya, or, add on the banana. It was ok. Not fantastic but definitely interesting.